Tired of cheap looking plastic portable speakers? These portable speakers are made out of wood, which not only makes them look swell, but should make them sound better than plastic ones too. 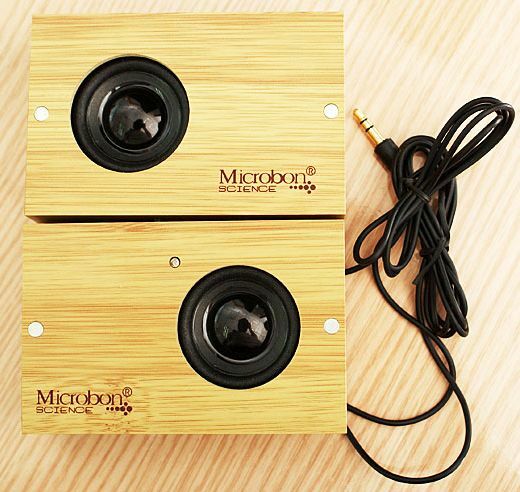 These compact speakers from China’s Microbon Science connect to your PC or portable media player through a 3.5mm Mini jack. The only downside I can see is that they require an external power supply, and don’t run off of USB power. But for just under $15 a pair, who’s complaining? The Microbon MP-120 speakers are available from gadget importer DealExtreme.